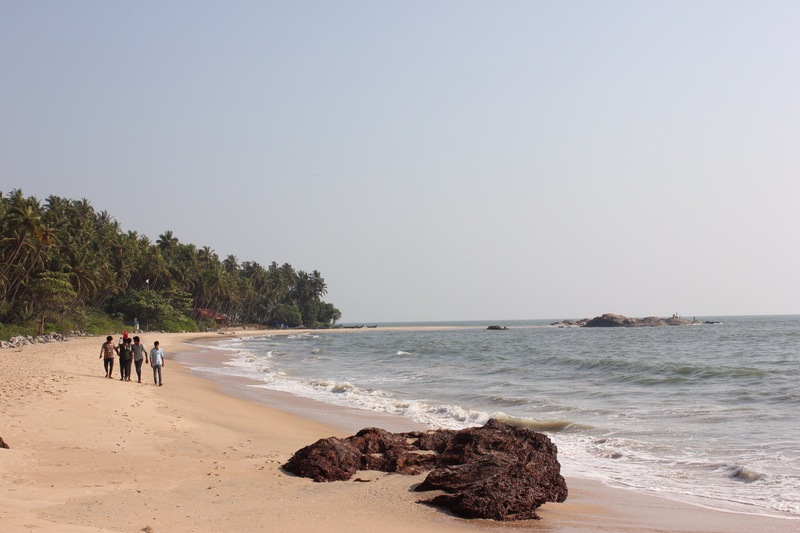 Near Kannur, local teenage boys cruise the beaches looking for Western tourists to ogle. Surrounded by miles of stunning, empty Keralan coast, these boys had to walk for at least 30 minutes to get near us; they hid in the bushes for a while, then came out and sat about ten meters away from us, staring, even though by then Alice had completely covered up in a shirt and towel. Eventually, we walked down the beach to get away from them; they followed us for about two miles before sitting near another tourist who was sunbathing in a bikini, face down, her date glaring in their direction.